Call or text Randy for available dates. The Ducks-n-Dogs Hunt Club and Guide Service features fully guided Arkansas duck hunts. Situated within the Stuttgart Arkansas rice fields, our duck hunting lodge offers the perfect combination of great duck hunting and comfortable accommodations. The duck hunting lodge, located in St. Charles Arkansas adjacent to the White River Refuge, is in the heart of Arkansas duck hunting paradise. Sometimes referred to Arkansas's Magic Duck Hunting Triangle, where the White River, Arkansas River and Mississippi River meet, this Arkansas Duck Hunting Lodge is a duck hunter’s dream location for hunting Arkansas ducks and waterfowl. Ducks-n-Dogs maintain multiple fields over a 35 mile area to create one of the finest Arkansas Duck Hunting locations! The hunting operations are situated in the Arkansas, White River area. Our guide staff is comprised of local residents who, over a lifetime of duck hunting, have gained an intimate knowledge of the birds and the duck hunting habitat. The combination of opportunities afforded by our many locations, and our unparalleled experience, promise you a hunt of a lifetime. 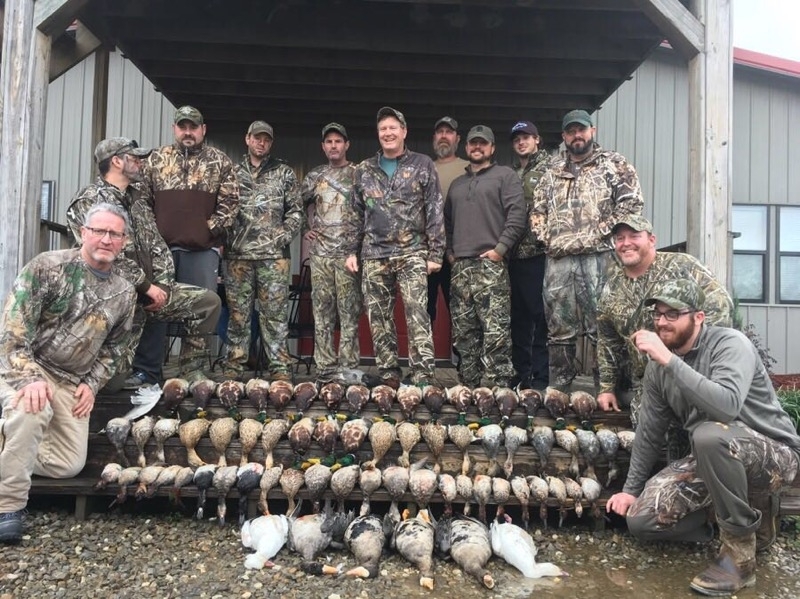 The duck hunts at the hunting lodge offer opportunities at a variety of Arkansas duck species (Mallard, Widgeon, Wood Duck, Canada Geese, Pintail, Teal, Canvasback, Speckled Belly, Gadwall, Black Duck, Red Head, Snow Geese). From the distinctive green head mallards to pass shooting at the speedy teal, you will see a wide array of ducks and enjoy many different shooting opportunities. Red heads, widgeon, wood ducks, black ducks, gadwalls and pintails can all be found in this area and our guides are expert in calling and setting you up in the perfect blind locations for the best duck hunts in Stuttgart, Arkansas. 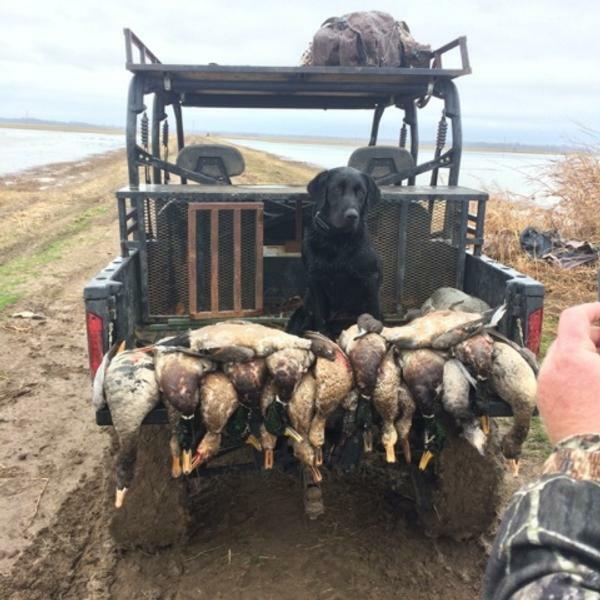 We invite you to enjoy our down-home Southern hospitality and experience world class Arkansas duck and waterfowl hunting with our world class guides and duck hunting dogs! Know as the duck hunting capital of the world, Stuttgart is surrounded by the Arkansas Grand Prairie where the commercial production of rice was established in early 20th century and led to Arkansas's status as the top rice producing state in the United States. 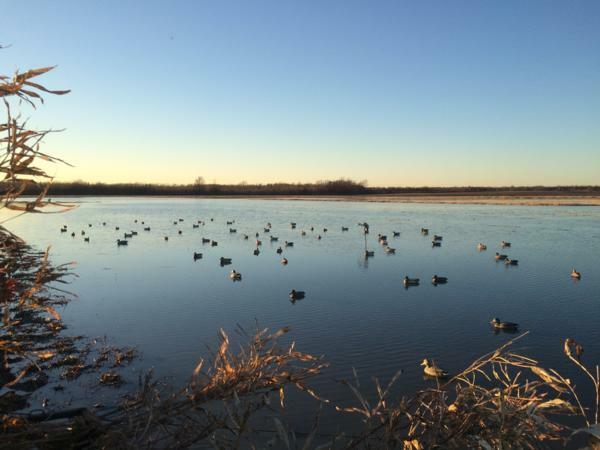 From a waterfowl hunting perspective, the abundance of rice and agriculture have created a waterfowl hunters paradise. Rice fields and irrigation reservoirs lead to an annual rest stop for ducks and geese on the Mississippi Flyway, making the area famous worldwide among waterfowl hunters. The city of Stuttgart is located about 50 miles southeast of Little Rock, Arkansas. Settled in 1878 by Minister Adam Buerkle and his congregation, the city was incorporated in 1889. White River National Wildlife Refuge is 30 miles southeast of the city proper and is well known for its waterfowl hunting, notably at Bayou Meto Wildlife Management Area but there are many other public and private hunting lands in the area as well as Waterfowl Hunting Lodges.